While it’s no solace to equity investors at the moment, the fact that volatility has only been in stocks in the past two months is good news. 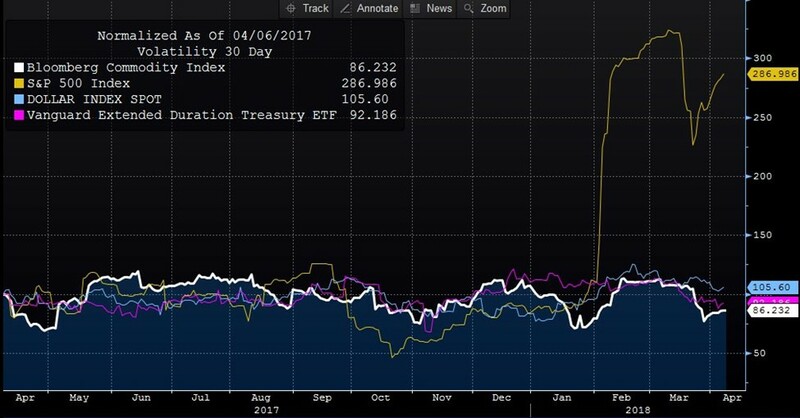 As you can see from the chart below, the S&P 500’s volatility increased in early February, but the dollar, commodities, and extended duration treasuries had normal volatility. The other markets haven’t confirmed the uncertainty and weakness that stocks have seen in early 2018. This means there’s less of a chance equity investors are correct to be worried about the tariffs and the slowing growth. To be clear, most analysis is showing deceleration in economic growth, but there’s also a strong likelihood that stocks declined because sentiment reversed. This is a psychological retraction instead of a change in the long term fundamentals. The chart below is an updated example of increased optimism in the junk bond market. 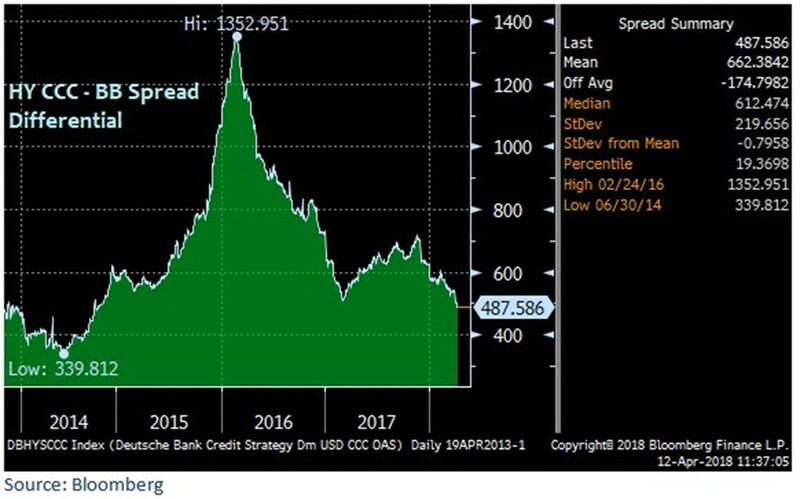 The spread between CCC bonds and BB bonds has fallen to the lowest level since before the spike in 2015 and 2016 which was caused by the crash in the oil market. Oil has had a good year which might explain the recent positivity in junk bonds. On the other hand, tech has played an important role in the selloff in stocks. 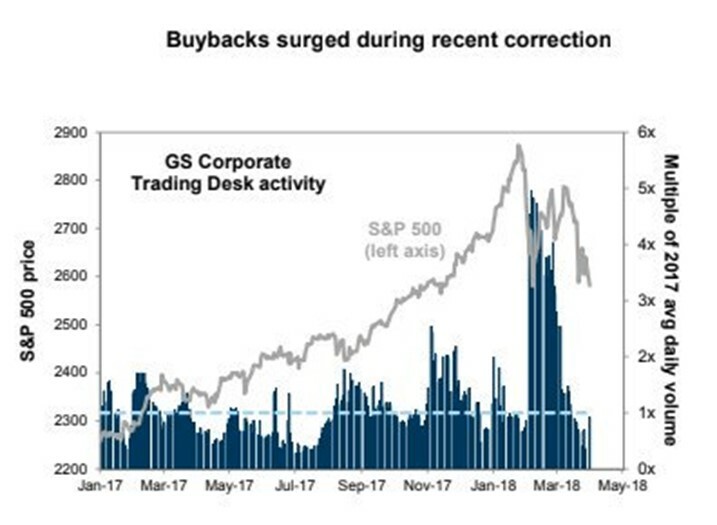 As you can see from the chart below, buybacks increased during the correction in February as firms took the opportunity to buy the dip in their stocks. An increase in buybacks can act as a cushion for stocks that are free falling. Buybacks are expected to increase 26% in 2018, so that’s not the first burst in repurchases that will happen this year. One near term issue with this is firms can’t buyback stocks for about 5 weeks before earnings and 48 hours afterwards. This is the blackout period enforced by regulations. This explains why buybacks were low in late March and early April despite the renewed weakness in stocks. The aggregate buybacks will resume after earnings season ends in May.